Rail line was incorporated in 1847 as the Rock Island and La Salle Railroad Company, and amended in 1851 to be the Chicago & Rock Island Railroad. The bridge over the Illinois River would have been built in the early 1850s, with the line being completed across the state of Illinois in 1854. The Rock Island Road, as it was called in company advertising, was involved in a very famous lawsuit over its Mississippi River Bridge in 1857. The railroad retained attorney Abraham Lincoln to defend the company when a steam boat struck the Mississippi River Bridge, causing both to burn. The courts ruled that the railroad has just as much right to cross a river as the boats had to navigate the river. The railroad became the Chicago, Rock Island & Pacific in 1866 given that it terminated in Council Bluffs just across the Missouri River from where the transcontinental railroad was to be started. The Rock Island attempted to merge with the Union Pacific starting in 1964. The railroad assumed all costs of the merger, and as a result, lets its facilities become run down. The merger failed 10 years later, and after several lawsuits and bankruptcies, the line was ordered to be liquidated in 1980. 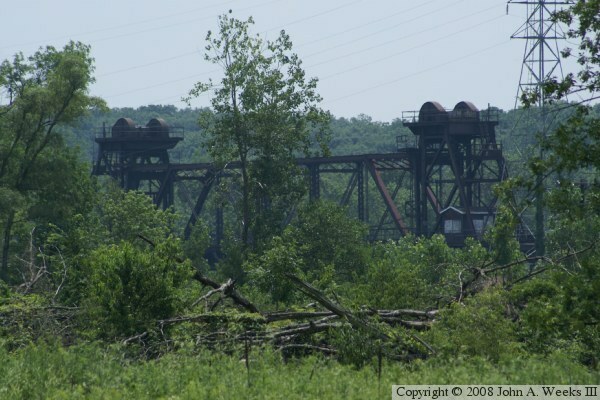 The International Mining Company ended up high bidder for the section of track from Joliet, Il, to Bureau, Il, which includes this bridge over the Illinois River. The Chessie System, now known as CSX Corporation, entered into a long term lease with IMC to operate this section of track. The lease runs through 2030. The bridge sits in a location surrounded by private property, all posted as no trespassing. It is not possible to get a good photo of the bridge from public lands. One would have to take to the water to do any better. It is highly unlikely that this is the 1853 era bridge. 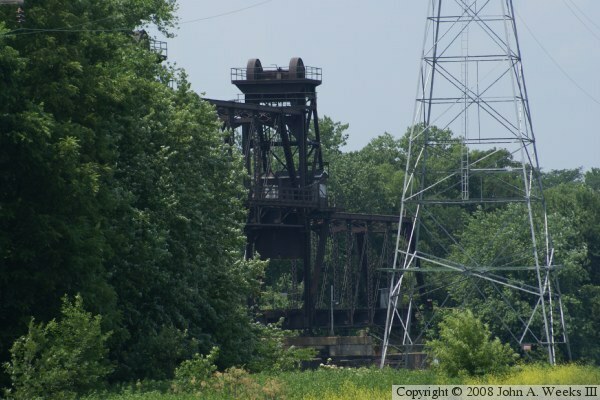 In fact, that was likely a wood or iron bridge that was replaced by 1870 with a steel bridge. The current bridge likely dates to the early 1930s when the 9-foot navigation channel was established, and rail bridges had to accommodate river navigation traffic. Prior to the river navigation projects, barge traffic was on much smaller boats running on the I&M Canal, which did not require high clearances under its bridges. As this is written in 2008, there is a major debate going on in Seneca about the possibility of a CSX intermodal yard being built near town. An intermodal yard is where trucks and containers are loaded and unloaded from trains. CSX claims that it will be 4 to 6 trains per week. Opponents say that is a bluff, and it will bumper to bumper trains with up to 80 trains per day in the city. Yet another faction says that the trains are going to have to go through Seneca no matter where that yard is built, so Seneca might as well host the yard and grab the tax money that will result.